I just received this in the mail. It's the French translated version of Hercules PowerUp. Many thanks to H&O editions (www.ho-editions.com) for publishing this book. Nope, I don't read nor speak French, but it's still awesome to have my artworks to be publish into a physical book. 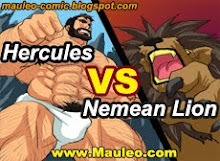 The book includes Hercules PowerUp part 1, 2 and 3. and also The Nemean Lion story. 130 pages, 14 Euros each. Can be purchase via (www.ho-edtions.com) or some of the book stores in France, perhaps easier to find it in Paris. indeed we only found it on the publisher's website or 6 bookstores in major cities throughout the France. H&O is also distributed in Switzerland, in Belgium and canada! http://www.amazon.fr/Le-pouvoir-dHercule-Mauleo/dp/2845472927 , but it's difficult to find. You can't find it when you search for Mauleo. I love have that book. Where can buy this book? That's amazing Mauleo! Congratulations! 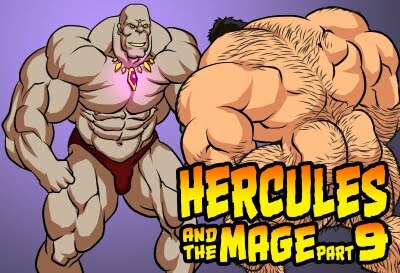 I hope they sell a million copies and you can hire a team to help you create many many more Hercules comics! Congrats. I'm really looking forward to the Mage Part 5! Congratulations! This is very exciting! I was wondering if you have any plans to release paperback (or hardcover) english omnibus of your work at some point? I know there are laws in some countries about printing graphic content, but it would be very cool to have your Hercules on my shelf along with Tom of Finland and Black Wade. It really depends on if there are publishers interested in publishing it, because I have no plans on publishing a independent physical book in English for the time being. Thanks! That's fair we live in a digital age... but if you ever change your mind I promise I'll be first in line! Thank you for the amazing art and stories.